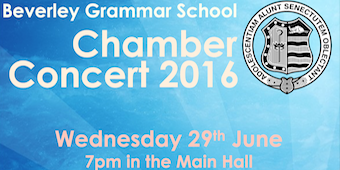 A range of students from year 7 to 6th form will be performing in the Chamber Concert on Wednesday 29th June at 7pm. The evening promises a wide variety of music, with a number of different musical styles being explored across an array of instruments. 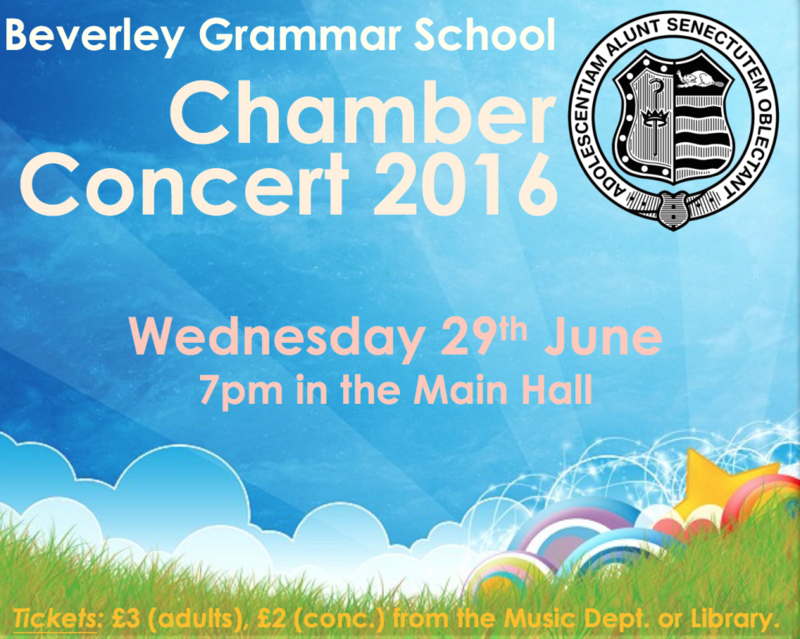 Tickets are available from the Library.